If you are looking for a cream made of high-quality ingredients, then the one offered by Natural Escapes might be the right one for you. The product contains all-natural, organic and wholesome elements that work together to ensure the best results while also being sustainable for the planet. The natural formula also means that the cream is healthy for your body, as it doesn’t contain any harmful elements such as petroleum by-products, parabens, sulfates, synthetic colors or fragrances. Peppermint, eucalyptus, and rosemary all work together to form a therapeutic blend of essential oils which have multiple benefits, including anti-inflammatory, anti-bacterial, anti-fungal, and antiviral ones, so that your skin has an extra layer of protection at all times. 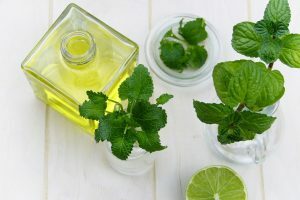 The peppermint oil has a special role here, as it helps relieve itchy skin, as well as nerve pain, while the rosemary oil is a potent antioxidant rich in Vitamin E that significantly improves the blood circulation when used frequently. Additionally, the eucalyptus oil is well-known for its muscle relieving properties. We’ve all heard about Aloe Vera and its multiple significant benefits that can help us in many situations. Natural Escapes uses it as a balancing element within the cream’s formula for an improved performance. Since it’s a soothing moisturizer that contains a multitude of antioxidants preventing the formation of free radicals, it increases the availability of oxygen for the skin. Natural Escapes’ cream is one of those excellent products that actually provide the needed results. The powerful anti-inflammatory effect of the ingredients has been shown to relax sore and tired feet, while improving blood circulation. This means that it can decrease the inflammation that might make its presence known after a long day. Moreover, it can be used to reduce different pains such as arthritis, muscle pains, nerve pains and many others. So if you know that you could use some help in this direction, then keep this solution in mind. 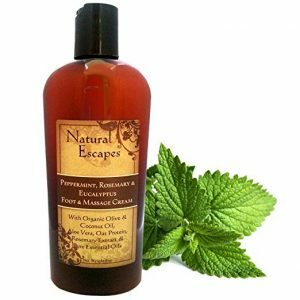 Besides the benefits listed above, Natural Escapes’ Massage & Foot Cream also keeps your feet moisturized. The organic ingredients included in the formula such as Aloe Vera, olive oil, coconut oil, and oat protein ensure deep nourishment for your skin. If you are dealing with dry or cracked areas on your feet, then you should give this product a try and see the results for yourself. Plus, it’s been shown that these ingredients help treat various skin problems that are more serious, including psoriasis or dermatitis. Rich in antioxidants such as Vitamin E and carotenoids, as well as in proteins and fatty acids, this cream rejuvenates the skin and softens tissues, as it penetrates the deeper layers, this way treating and further preventing cracking, aging, and wrinkling. Since more than 100 individuals say that this foot cream is great, it’s pretty clear that those who are using it appreciate the benefits it brings. Among those most mentioned are the deep moisturizing effect, the soothing results, and the coolish menthol effect which feels very nice.